Once again, it's been a crazy day! But I thought I should mention that there is a giveaway over at Funky Finds tomorrow. Each month Funky Finds has a giveaway based on a different theme featuring funky artists and craftsters. I just so happen to be funky enough! Here is her write-up about me. 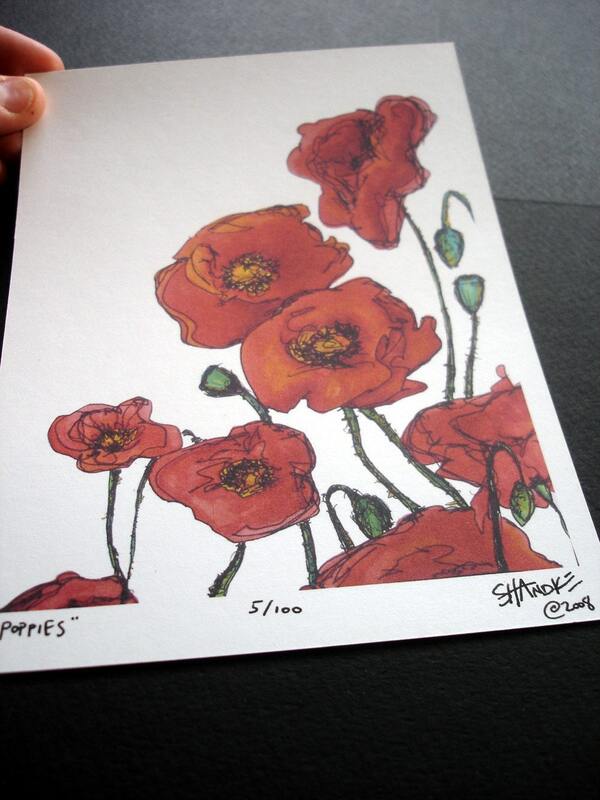 The Poppies Print is a Limited Edition of 100, and thus far approximately one quarter of them have sold. 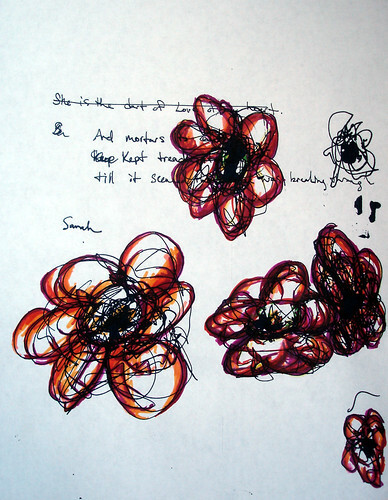 This particular piece was created first by a completed scribbles-sketch. Then I photocopied it onto other paper with scribbles. Finally, I added my personal touch with markers. Therefore there are no two alike, and it's a limited edition of five.